Power Generation Systems- Lighting Up Lives and Economies | Combustion Associates Inc.
CAI’s power generation and auxiliary balance of plant (BoP) systems are used in diverse facilities in a wide array of industries. The Company’s power plants are providing affordable electricity to remote corners of the world lighting up businesses, industries and the lives of residents; offering consistent 24-7 power in emerging economies where rolling blackouts are a norm thus paving the way for prosperity; and implementing efficient solutions to meet emissions regulations in advanced countries. 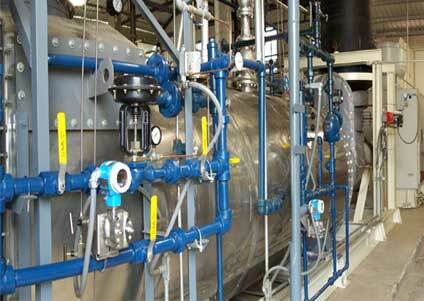 In-house developed comprehensive Spirit line of gas turbine power generation systems are CAI’s principal product. The 1 MW, 2 MW, 4 MW and 10 MW packages are modular and fuel-flexible with highly-versatility – they can be uniquely configured to meet the client’s requirements. These units operate independently in island mode or in conjunction with grid power. CAI’s Spirit line is utilized to generate electricity for connecting to the grid. It offers uninterrupted high quality power that can be configured in a range of MW sizes to meet baseload, peak and emergency demands. Each unit is scalable, providing a cost-effective solution to adding power generation incrementally as demand for power rises. On-Site Power, also known also as Distributed Generation (DG) or Embedded Generation (EG), that is facilitated by the Spirit line, is the smart way to produce electricity. DG provides efficient and reliable power very near to where it’s used, minimizing energy losses in transmission and reducing the need for power line construction. It also decreases power line congestion. 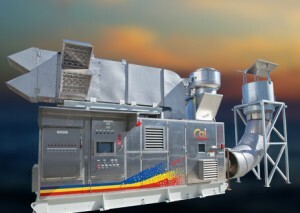 CAI’s Spirit packages can be retro-fitted with the company’s custom built heat recovery units to create CHP power plants that are greatly efficient. While generating electricity, exhaust heat, which would otherwise be released into the atmosphere and wasted, is captured from the power plant to produce steam and hot water for industrial heating/cooling needs. 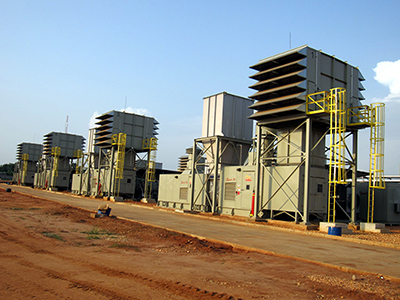 CAI also offers a suite of modular auxiliary equipment to be integrated into existing power generation systems for added efficiency and easy operation. Combined Cycle power plants use both gas and steam turbines to generate much more electricity from the same fuel input than the simple cycle process. A Heat Recovery Steam Generator captures “waste” steam from the exhaust generated during the gas turbine operation and delivers it to the steam turbine which produces additional electricity. CAI’s Spirit line can be fitted to operate in combined cycle mode to increase efficiency, and reduce greenhouse gases and operating costs. 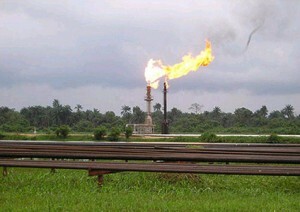 Process gases emitted by oil and gas production and refineries, such as low grade fuels and other sour gases, are normally flared into the atmosphere without any benefit to the environment or community. CAI can design power plants that operate on flare gasses and low BTU fuels thus providing a sustainable solution to decreasing greenhouse emissions and utilizing waste-stream gases for added economic benefit. Around the globe, oil and gas production platforms require a steady source of power to operate drilling, compression and rigging equipment. 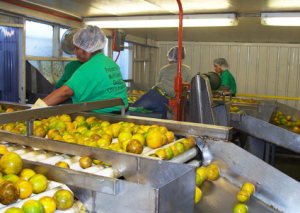 Since these production platforms are high-cost, high-risk work centers, having a power generator that is reliable, continuous and safe to operate is the key to success. CAI has designed Spirit 1MW specifically for offshore use with class 1 division 1 electrical components to withstand the hazardous conditions in such locations. Spirit 1MW’s compact weight and size allows it to fit into a small space on the platform.